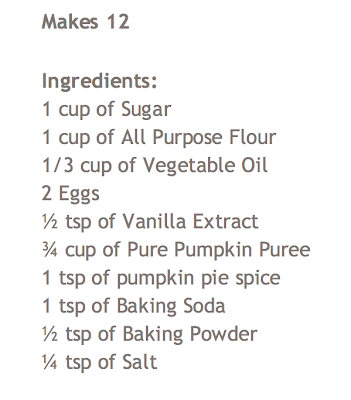 Could a pumpkin cupcake be healthier than a regular cupcake? Well, I am not sure... but I sure prefer a pumpkin cupcake to a regular one. It is slightly chewy and spongy and of coz contains some fibre, carotenoids and vitamins as compared to a plain o'vanilla cupcake. 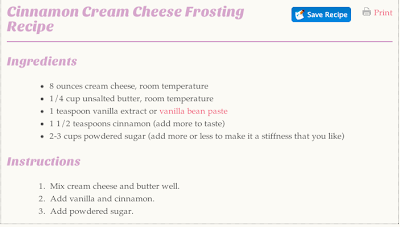 Kiddo and I decided to try out this recipe from her favourite online chef - Laura Vitale. 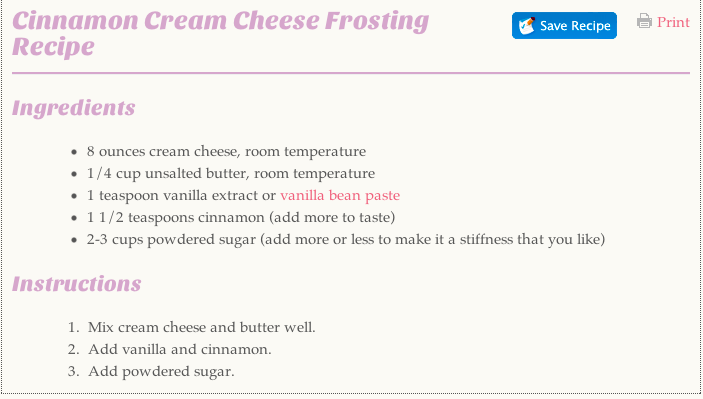 Click on ingredient list to take you to her step-by-step instructions. So, I halved the pumpkin, removed the seeds and laid the two halves on parchment paper (cut side down) and roasted them for about 30 mins at 200 degree Celsius. Here's how the roasted pumpkin looks like. 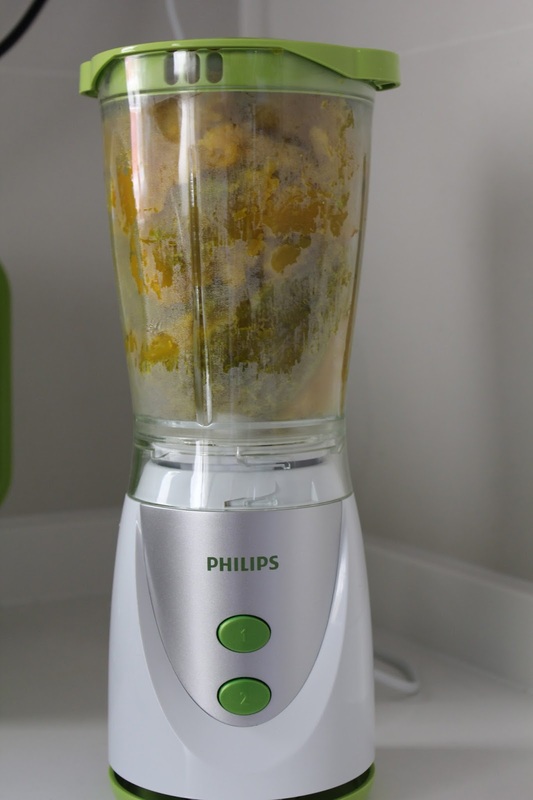 Once it is no longer hot to the touch, I peeled the skin off and popped the flesh into the blender. I must have given each cup too little batter as by the time the batter was cooked, it had not risen to the brim of the cups. Well, it's ok... I'll make a mental note to portion out more batter next time. The Hubs thinks that pumpkin is tooOOooo exotic (since when?). He wanted the basic chocolate cupcake so I made use of pancake mix and added chocolate chips for his cupcakes. 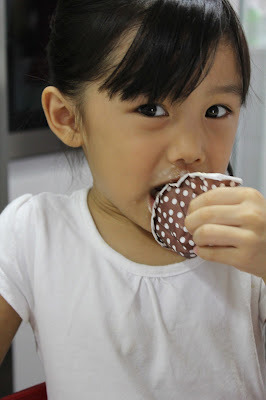 Here's how the pancake mix cupcakes look like; pre-frosting. *** I used only 2 cups of powdered sugar and it was way tooOOooo SWEET! Too sweet for my liking - so I added a bit of salt and sour cream to save my frosting from being over the top sweet. Well, don't use me for the litmus test for sweetness level coz I prefer my frosting to be less sweet. 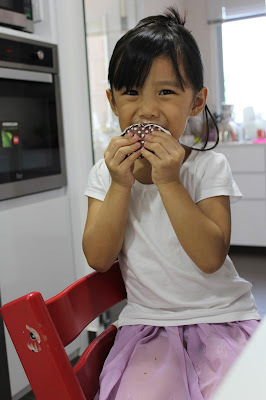 Happy Kiddo... always the first to taste test our final product. I love how simple and organic this cupcake looks... colours from nature. Not the usual pink and crazy purple ones the The Kiddo loves. wooow i love pumpkins!this is some project i love to embark on! Feels like i could smell it from here! u can do a hallooween pumpkin ones for ur loved ones with funny faces! wooo :) i didn't know that you like pumpkins too :) will make some for you when you return!